Washington Capitals forward Andre Burakovsky left Sunday's playoff game against the Columbus Blue Jackets with an upper-body injury. 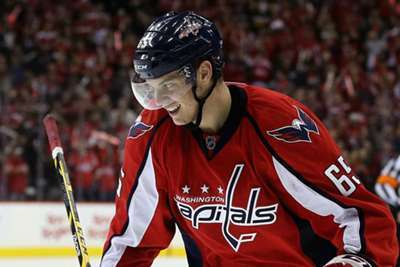 The Capitals forward slammed into the boards and appeared to injure his left shoulder. Burakovsky finished the regular season with 25 points in 56 games but is still a key part of the Caps rotation. 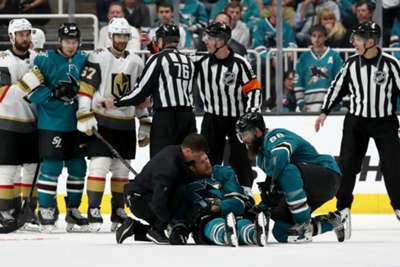 Burakovsky was not the only injury Sunday as linesman Steve Barton left late in the second period due to an apparent knee injury and was treated by medical personnel, the NHL announced. Garrett Rank took over as his replacement. Barton was also injured in a Blue Jackets game in March when his head hit the ice after being tripped by the Oilers' Connor McDavid. Barton had to be stretchered off the ice.